Humanity is more than ever threatened by its own actions; we hear a lot about the need to minimize footprints and to reduce our impact. But what if our footprints were beneficial? What if we could meet human needs while increasing the health and well-being of our planet? 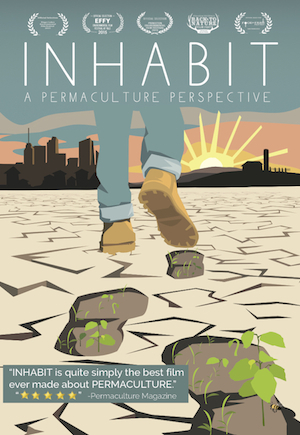 INHABIT explores the many environmental issues facing us today and examines solutions that are being applied using the ecological design lens of permaculture. Focused mostly on the Northeastern and Midwestern regions of the United States, Inhabit provides an intimate look at permaculture peoples and practices ranging from rural, suburban, and urban landscapes. Post Film Discussion with Christian Douglas of The Backyard Farm Co.